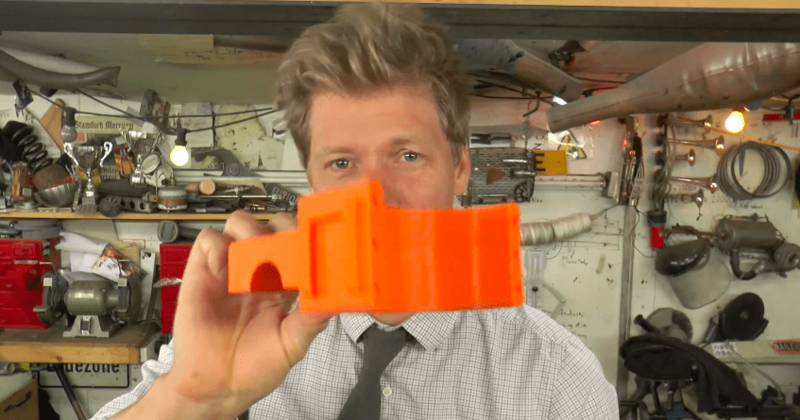 We’ve seen the wild range of garage invention hijinks that YouTuber Colin Furze has gotten into—including a working Jet-powered bicycle and a homemade hoverbike—so it comes with little surprise that 5-year-old “Little Furze” would eventually come knocking on dad’s workshop door with his own requests. Ever the curious tinkerer, Furze naturally gave in. “So I made the boy a jet scooter but wait till he sees dads version muhahaha,” says Furze. 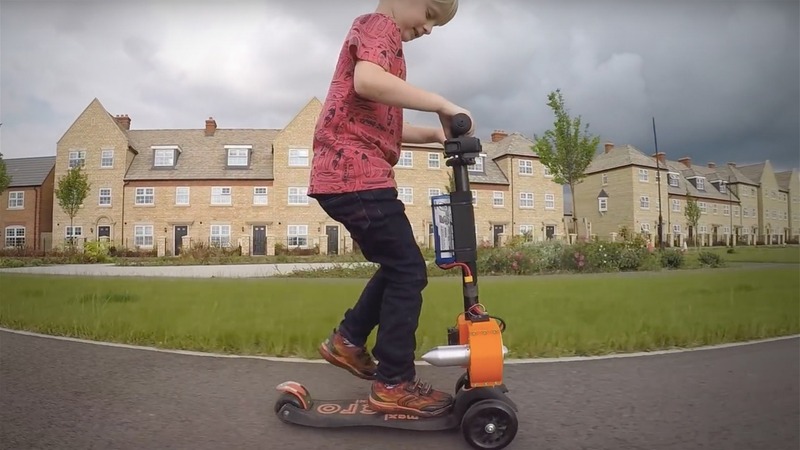 Using a Micro Kickboard Mini Deluxe Scooter as his canvas, Furze mounts an electric EDF engine on the handle post to give his son’s morning commute to school that little extra “boost”. 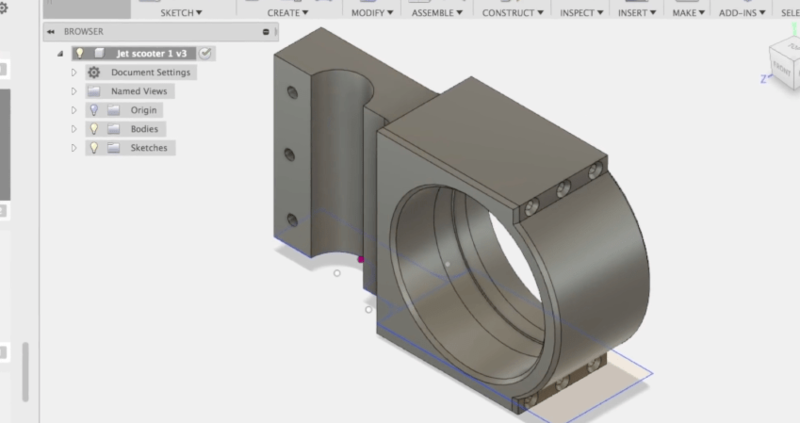 Using Fusion 360 and a 3D printer, Furze begins by creating a custom housing unit to hold the engine assembly together. Perhaps knowing that his son may have some of his wild and crazy daredevil genes, Furze forgoes putting the jet power controls on the scooter and instead has them set up to be controlled via a remote control held by Dad. 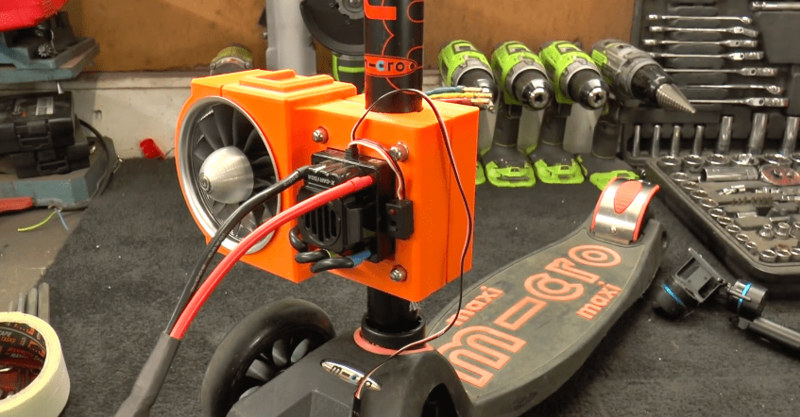 Nonetheless, this is certainly one Micro Scooter that will make all the other neighbor kids envious. Be sure to check out all of Furze’s crazy Garage Invention builds over at his YouTube channel.